I love Malta!!! The shopping is amazing! 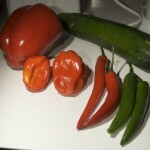 This place is very cool, food is so fresh I don’t think I ever had it so good except when we grew our own back in the UK… Tonight I bought some more shopping and the colours and flavours are so good I had to take some photos to show you. 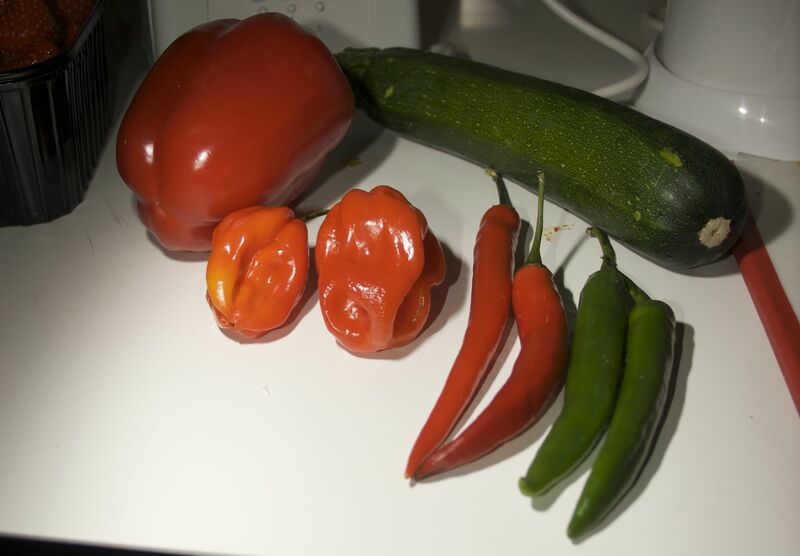 As you can see, the chillis are not the 100% perfect size and shape like Woolworths seem to think is required, nor are the vegetables completely blemish free.. Instead what you get is the freshest, organic food I have ever tasted, the vegetables are crisp, and putting them in the fridge they last for 2 weeks instead of the Cole’s carrots that turned black within 24 hours…! The strawberries OMG! 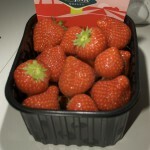 This “punnet” was but one of many, as you can see plenty in it. No bruised fruit at all! 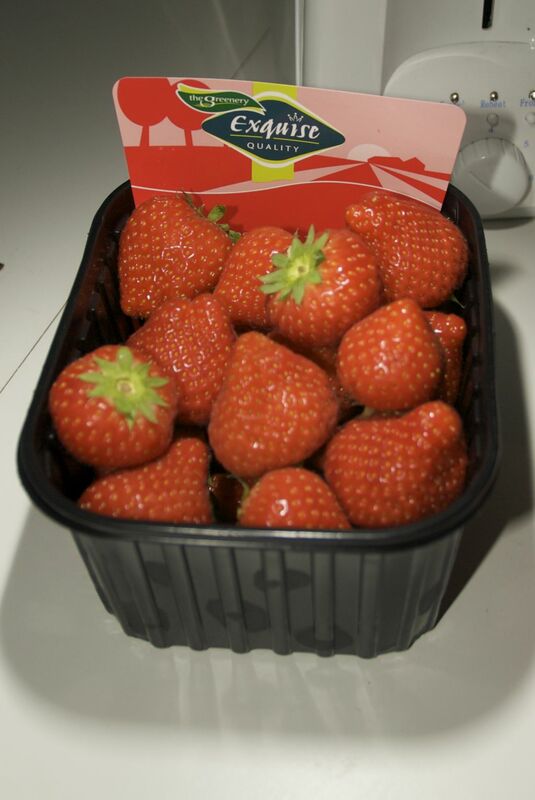 Talk about sweet, they are delicious, and unlike Aussie strawberries, these actually taste like strawberries.. and the best news of the lot… all for E1.50 .. yes folks, a large punnet of strawberries for less than three bucks! Oh, in case you are wondering, the photos are as they came out of the camera except for cropping, I haven’t played with the colours, and on my screen (my Mac) the colours look the same as I see here in real life! Food quality aside the other fantastic part is the food shops. On the island there are large chain supermarkets, well one.. LIDL and it seems that whilst they do “OK” it’s not like they do in other countries. People here don’t get in the car to go to the supermarket, they’d rather go to the local store… That said the local store is no more than 10 minutes walk away, and they are like mini a Coles. The variety of food is amazing, how they get it all in the shop is… magic… These stores look like the lounge of someone’s house covered in shelves, and filled with everything imaginable to man! In my local store, they have 7 types of HP sauce.. 7!! They have asian raw food stuffs (eg Coconut Milk, bamboo shoots, bean sprouts, water chestnuts etc). Every store has a cheese counter that rivels any deli I have seen in Australia with cheeses of the world (eg nearly every store has New Zealand cheddar!) Hams, bacons, salamis etc.. you name it they have it.. I even have alcohol free vanilla essense (for 60c!).. that’s not the vanilla flavour crap that you get in Australia, it’s the real deal, real vanilla, with no alcohol! Now enough of food, more shopping! Here’s me at home after a day at work, no makeup, but in some of my new clothes… New jacket, new jeans (yes I’m still a size 10!) and a new top.. I now have a new watch (finally), not cheap but then it is a Roberto Cavalli (Women’s watches, number 15 in the gallery).